The exhibition is divided over two spaces: one focuses on the historical connections between art and alchemy, primarily in the early modern period, and in the other space, contemporary art influenced by alchemy takes centre stage. Whereas the historical section was a feast of recognition for me, I was pleasantly surprised by the contemporary section of the exhibition. I especially enjoyed Rebecca Horn‘s works, like ‘The chemical wedding,’ a glass reservoir half filled with blue water and a quotation from Johann Valentin Andreae’s 1616 novel The Chymical Wedding of Christian Rosencreutz, anno 1459, printed on top. The blue water -blue symbolized the female in Rosicrusian symbolism- evaporates and condenses on the top plate, thus endlessly dividing and reuniting in this hermetic vessel. An impressive and surprisingly friendly priced hard cover catalogue accompanies the exhibition. 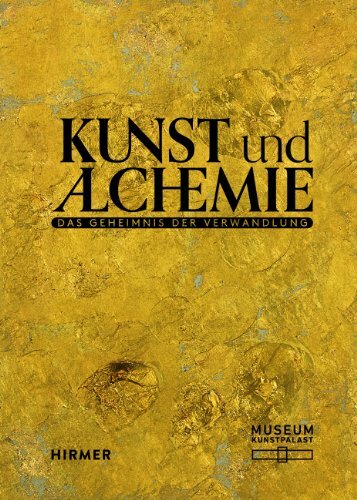 As the exhibition was created in cooperation with the Art and Knowledge in Pre-Modern Europe research group at the Max Planck Institute for the History of Science in Berlin and the Chemical Heritage Foundation, the catalogue contains contributions by leading experts in the field, such as Lawrence M. Principe, Sven Dupré, Jennifer Rampling and William R. Newman, and is available in both a German and English. 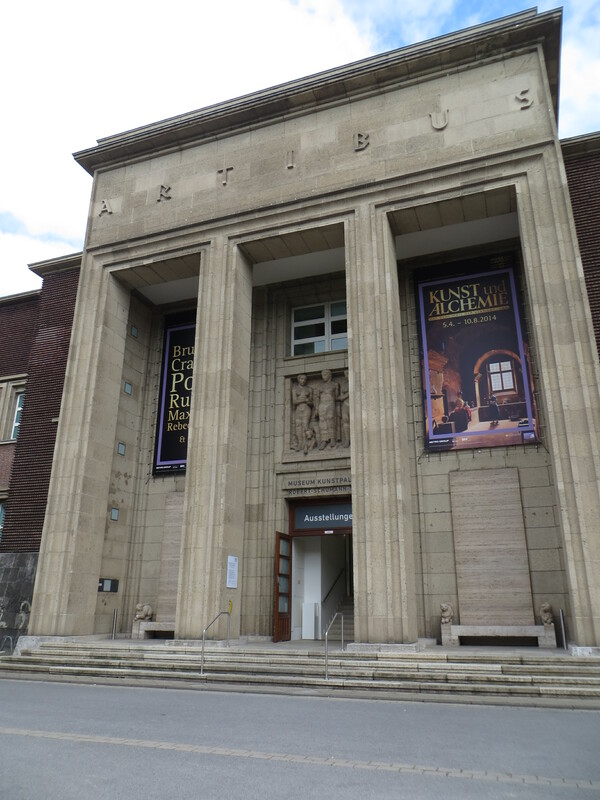 If your happen to be in Düsseldorf before 10 August, do not miss Art and Alchemy!